King of the endless runners Temple Run has entered the age of virtual reality. King of the endless runners Temple Run has entered the age of virtual reality. 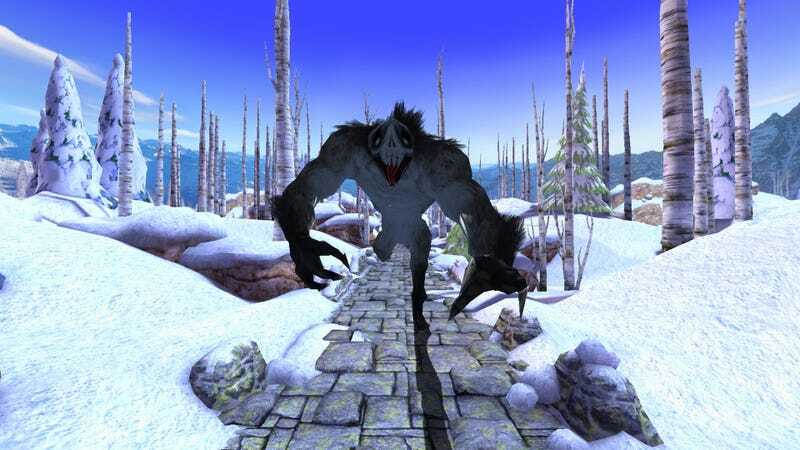 Imangi Studios has officially released Temple Run VR, a new chapter in the running from creepy monkeys saga, for play on the Samsung Gear VR Innovator Edition. Since I don't have a means to strap a phone to my face, I am spared the nightmares of this beast coming at me.